Be the first to share your favorite memory, photo or story of Jacquiline. This memorial page is dedicated for family, friends and future generations to celebrate the life of their loved one. 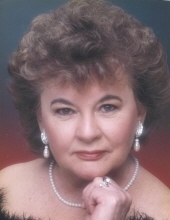 Pechota, Jacquiline D. - Age 80, of Holly, died January 15, 2019. A Memorial Service will be held 11 AM Saturday, January 19, 2019 at Sharp Funeral Homes, Linden Chapel, 209 East Broad Street, Linden. The family will receive friends from 10 AM until the time of service. Those desiring may make contributions to The Salvation Army. Jacquiline was born April 21, 1938 in Detroit, the daughter of Leonard and Rose (Fatherby) Kyle. She worked as a secretary at Multi Lake Enterprises. Surviving are her husband, Donald R. Pechota of Holly; three children, Donald M. (Linda) Pechota, Kim (Steve) Cox, and Lorrie (Max) Wollmuns; six grandchildren, Tanya, Elizabeth, Kris, Jessica, Angela, and Travis; seven great-grandchildren, Emma, Alex, Barrett, Jaxon, Annie, Jacquiline and Justin. To send flowers or a remembrance gift to the family of Jacquiline D. Pechota, please visit our Tribute Store. "Email Address" would like to share the life celebration of Jacquiline D. Pechota. Click on the "link" to go to share a favorite memory or leave a condolence message for the family.